Final Two Tables of the $300 Shootout! The players in the $300 NLHE Shootout are currently on break. With 18 remaining, players have consolidated down to the final two tables. When play resumes, the blinds will be increased to 1,000-2,000 with a 200 ante. The average chip stack is 52,500. $300 Shootout In the Money! The bubble has just burst in the $300 NLHE Shootout. With 60 players remaining, everyone is now guaranteed at least $659. We had a total of 139 players in the $400 Limit Hold 'em event at the Foxwoods World Poker Finals. The final 15 spots will finish in the money. 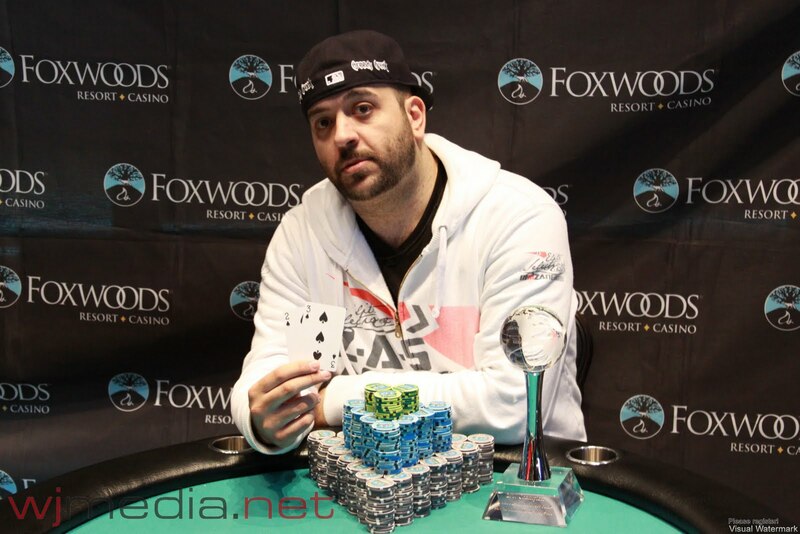 We had a total of 571 players in the $300 NLHE Shootout at the Foxwoods World Poker Finals. The final 60 spots will finish in the money. $400 Limit Hold 'em Event Underway! The $400 Limit Hold 'em event at the Foxwoods World Poker Finals is now underway. There are already over 100 players registered for the event. John Agelakis Wins the $400 Deep Stack! 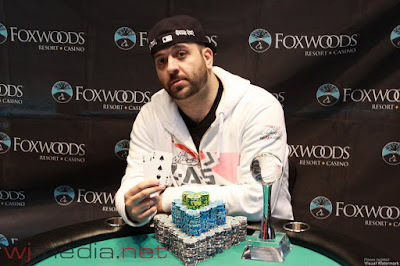 After a 23 way deal, John Agelakis is the winner of the $400 NLHE Deep Stack Event at the Foxwoods World Poker Finals. Details of the chop will be posted shortly. A total of 73 players started Day Two at noon today and we are down to the final 23. The blinds are about to go to 25,000-50,000 with a 5,000 ante. The average chip stack is currently 831,000. The second session of the $350 NLHE Shootout is about to begin. Top three players from each table will advance to the finals at 4pm. Day Two of the $400 NLHE Deep Stack event is about to restart. There were 956 total entrants and 73 survived to Day Two. We will be playing down to a winner today with first place receiving $68,158. We are up and running from the Foxwoods World Poker Finals! The first session of the $300 NLHE Shootout is already underway with the second session kicking off at 1pm. Day two of the $400 NLHE Deep Stack event will resume play at noon with eight tables remaining.